This site was created in part to help businesses get inspired by other examples of contributions to sustainable development to see what they could contribute to achieving the SDGs. This page is devoted to additional practical tools and partnering organizations to assist companies once they get inspired to deepen their involvement with the SDGs. Among other initiatives, the UN Global Compact, Global Reporting Initiative (GRI) and World Business Council for Sustainable Development (WBCSD) have developed a platform for understanding how to implement the SDGs (the "SDG Compass Project") which features an interactive tool showing how GRI reporting and other corporate reporting intersect with the SDG targets. KPMG and the Global Compact have developed a series of SDG Industry Matrix publications that provide case studies of shared value opportunities for contributing to achieving the SDGs across Financial Services; Industry Manufacturing; Healthcare & Life Sciences; Food, Beverage and Consumer Goods; Transportation; and Energy, Natural Resources and Chemicals. Further information can be found at KPMG/Global Goals. Finally, the Global Compact and the International Chamber of Commerce have published a report on the work of business associations called "Scaling up Sustainability Collaboration: Contributions of Business Associations and Sector Initiatives to Sustainable Development" which documents what different industry associations are doing globally to encourage their members to scale-up their engagement in the SDGs. Below, we showcase a select crop of the organizations that are doing the best work to help catalyze more interest and implementation of partnerships in the 2030 development era. If you want to take a deeper-dive into the theory and practice of partnerships, see our selected resources here. The Sustainable Development Goals Fund (SDG-F) is a development cooperation mechanism created in 2014 by the United Nations Development Program, on behalf of the UN system, with an initial contribution of the Government of Spain to support sustainable development activities through integrated and multidimensional joint programs. It builds on the experience, knowledge, lessons learned, and best practices of the MDG Fund experience, while shifting focus to sustainable development and emphasizing public-private partnerships. 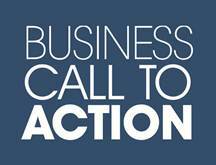 The Business Call to Action - Launched at the United Nations in 2008, the Business Call to Action (BCtA) aims to accelerate progress towards the Millennium Development Goals (MDGs) by challenging companies to develop inclusive business models that offer the potential for both commercial success and development impact. The BCtA is supported by a number of bilateral development agencies, the Global Compact and the United Nations Development Programme. Explore case studies of BCtA member companies. Business Fights Poverty is the world's largest network of international development and business professionals. The site provides excellent content on a variety of topics relevant to the 2030 development agenda through different zones, such as inclusive business models, inclusive finance, environment, women, health, nutrition and partnerships -- they even have a zone dedicated to the 2030 development agenda. The Partnering Initiative is an independent not-for-profit organization dedicated to driving cross-sectoral collaboration for a sustainable future. The Partnering Initiative has conducted extensive research on partnerships and developed an holistic approach of integrated programs and training opportunities to mainstream partnership activity across five levels, from individuals to international policy. The SDG Philanthropy Platform is a vehicle to enable partnerships in the global development space and to help them flourish to achieve global development outcomes as the world transitions from the MDGs to the SDGs. Philanthropy has adopted a systemic approach to funding and policy work, shifting from fragmented individual projects to long-term collaborative efforts in line with national priorities and the SDGs. USAID Global Development Alliances is the United States Aid and Development Agency (USAID)'s premier model for public-private partnerships. USAID has formed more than 1,500 public-private partnerships across nearly every industry and sector with over 3,500 distinct partner organizations (valued at more than $20 billion in public and private funds). The Global Development Incubator, Inc. (GDI) supports innovative ideas, organizations, and initiatives that have the opportunity to create large-scale social change. GDI has supported efforts such as the launch of the Aspen Network of Development Entrepreneurs (ANDE) at the Aspen Institute and the Initiative for Smallholder Finance, among others. GDI has created a number of initiatives specific to the SDGs, including the Global Sustainable Development Goal Partnership and Convergence. Convergence is the first and only deal sourcing platform for emerging and frontier market blended finance deals. Designed in partnership with Canada’s Department of Foreign Affairs, Trade and Development, the World Economic Forum, and the Global Development Incubator, Convergence officially launched at the Third International Conference on Financing for Development in Addis Ababa, Ethiopia. The Practitioners' Hub for Inclusive Business is a tremendous resource for those looking to create inclusive business models. The Hub also hosts a gateway with a list of the many additional inclusive business initiatives across the world working to improve the lives of people at the Base of the Pyramid. The initiatives featured range from small enterprises to large corporates, capturing more than 1,000 inclusive businesses across sectors, regions and programmes. Acumen is a non-profit which raises charitable donations that allows it to make long-term debt or equity investments in early-stage companies providing reliable and affordable access to agricultural inputs, quality education, clean energy, healthcare services, formal housing, and safe drinking water to low-income customers. Devex Impact is a global initiative by Devex and USAID in partnership with top international organizations and private industry leaders. Devex Impact is a portal of information on partnerships and existing initiatives for development agencies, companies, global NGOs and other development professionals (over 600 partnerships are indexed and searchable though a database). Devex Impact is led by a Strategic Advisory Council of informed leaders in the development field from the private sector, international NGOs and development agencies. The Shared Value Initiative was launched in 2012 as a Clinton Global Initiative Commitment to Action with the support of Mark Kramer, Harvard Business School Professor Michael Porter, and the new executive director of the initiative, Justin Bakule, formerly a managing director at FSG. With shared value embedded in its corporate history and a strong consulting relationship with FSG, Nestlé signed on as the inaugural partner to fund the Initiative with Verizon, Mercy Corps, and the Rockefeller Foundation. Today, 35 cross-sector organizations comprise the leadership group for the initiative, including 25 innovative partners from leading Fortune 500 companies, 8,000 shared value practitioners across all sectors and 70 practitioners certified in 30 countries on nearly every continent. The PCSD Partnership - A Multi-Stakeholder Partnership for Enhancing Policy Coherence for Sustainable Development aims to provide a forum for exchange of knowledge and expertise among governments, international organizations, civil society think-tanks, the private sector, and other stakeholders on the policy implications of SDG implementation. The PCSD Partnership is led by the OECD in partnership with the Center for Global Development and the Stockholm Environment Institute. ICC United Kingdom works with business to encourage implementation of the SDGs and highlight business practices that contribute to economic growth in the direction of sustainable development. In close collaboration with the UK government, we are fostering joint efforts to enhance stakeholder cooperation towards the 2030 agenda in the areas of strength to the UK, such as; green finance, sustainable investment finance, supply chain reporting, low carbon technology, fintech and digital trade. As the largest network of the private sector in the world, the International Organisation of Employers (IOE) supports its member federations and their company members in contributing to the implementation of the Sustainable Development Goals through peer learning, capacity building and information on developments and trends. In the 2015 Bahrain Declaration, the Global Employers committed to support the SDGs and confirmed their readiness to work and cooperate at national and international level to reach the targets. The IOE has a Policy Working Group on Sustainability and organizes Global Business Forums on the SDGs.